Whenever I am preparing a talk, lesson or just studying a topic, I have a small arsenal of tools that I have found extremely effective in digging deeper into doctrinal understanding. Often during this process I experience an amazing clarity on a particular topic; the words “AH HA!” come to mind quite often (which is something we all love don’t we?). I have a few philosophies behind these tools which I’ll share as well. First off, let’s set the stage with a real-world sample. Let’s say that you are a preparing a talk/lesson on the topic of fasting. Now there are hundreds of talks, quotes and resources on the subject but what if we keep things simple at first and simply look at the word itself; what does it mean? What did it mean? Where did it come from? Has the meaning changed over time and which meaning is more accurate? The very first thing I do is look at the earliest possible occurrence of the word. I’m going to use scriptures.lds.org because it’s a great little search engine for quickly finding all the scriptures in the LDS canon. So I do a search for the word in the Old Testament, since out of the books in our modern canon, it is the oldest book that we have that can be traced to a previous language, in this case, Hebrew. We’ll use Isaiah 58:6. Then, I do a search for the word in the New Testament to see what the Greek translation of this word is. We’ll use Matthew 6:16. Next, is one of my favorite sites of all time. There are other versions of this site that aren’t so clunky, but I still kind of like this one because it’s just completely focused on the Bible only and it just plain works. With this site, we can read the words in the original Hebrew or Greek! So let’s find Isaiah 58:6 and see what the verse looks like. Now the word “tsowm” is the first that shows up and you have to click on the link that says “6684” to see what the root word “tsuwm” means. When you click it, the page jumps up to the above definition which defines “tsuwm” as “to cover over (the mouth) i.e. to fast. Now the difference between the Hebrew section and the Greek section is that the Greek section actually has the Greek translation right above the English version, so you can translate one word at a time if you’d like to! But for now, we’ll just click on the word “fast”. The word here is “nhsteuw” which means to “abstain from food (religiously)”. So now we start with “to cover the mouth” and “to abstain from food” but there is yet one more language that we need to explore and this is where it gets fun. That language in this case in English, but we need to explore it in three ways, first, we need to see where the English word “fast” originated from and what it meant then, what it meant to Joseph Smith and the early church, what it means today and if there is any difference. fast (adj.) O.E. fæst “firmly fixed, steadfast,” probably from P.Gmc. *fastuz (cf. O.N. fastr, Du. vast, Ger. fest), from PIE base *past- “firm” (cf. Skt. pastyam “dwelling place”). The adv. meaning “quickly, swiftly” was perhaps in O.E., or from O.N. fast, either way developing from the sense of “firmly, strongly, vigorously” (cf. to run hard means to run fast; also compare fast asleep), or perhaps from the notion of a runner who “sticks” close to whatever he is chasing. The sense of “living an unrestrained life” (usually of women) is from 1746 (fast living is from 1745); fast food is first attested 1951. Fast-forward first recorded 1948. Fast lane is by 1966; the fast track originally was in horse-racing (1934); figurative sense by 1960s. To fast talk someone (v.) is recorded by 1946.
fast (v.) O.E. fæstan “to fast” (as a religious duty), from P.Gmc. *fastejan (cf. O.Fris. festia, O.H.G. fasten, O.N. fasta), from the same root as fast (adj.). The original meaning was “hold firmly,” and the sense evolution is via “firm control of oneself,” to “holding to observance” (cf. Goth. fastan “to keep, observe,” also “to fast”). Presumably the whole group is a Gmc. translation of M.L. observare “to fast.” Related: Fasted; fasting. Now we have both an adjective and then a verb and both offer some very amazing insight. First, it is interesting to note that the adjective is defined as “firmly fixed, steadfast,” and the word only later came to mean anything relating to speed. The verb originally meant “hold firmly” and evolved from the idea of “firm control of oneself.” I hope the lights are coming on in your mind right now as they were in mine. So wait a minute, I thought fasting was just about not eating or drinking for a certain amount of time. Yes, that is what it IS but what is the PURPOSE behind the practice? That is what we are beginning to uncover by looking at the origin and evolution of this term. 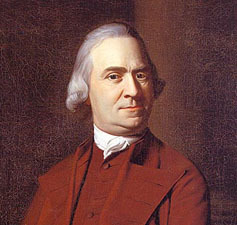 It is not only important, but, in a degree necessary, that the people of this country, should have an American Dictionary of the English language; for, although the body of the language is the same as in England, and it is desirable to perpetuate that sameness, yet some differences must exist. Language is the expression of ideas; and if the people of one country cannot preserve an identity of ideas, they cannot retain an identity of language. a. indicating a time in advance of the correct time, as of a clock. b. noting or according to daylight-saving time. 4. adapted to, allowing, productive of, or imparting rapid movement: a hull with fast lines; one of the fastest pitchers in baseball. 5. characterized by unrestrained conduct or lack of moral conventions, esp. in sexual relations; wanton; loose: Some young people in that era were considered fast, if not downright promiscuous. 6. characterized by hectic activity: leading a fast life. 8. firmly fixed in place; not easily moved; securely attached. 9. held or caught firmly, so as to be unable to escape or be extricated: an animal fast in a trap. 10. firmly tied, as a knot. 11. closed and made secure, as a door, gate, or shutter. 12. such as to hold securely: to lay fast hold on a thing. 13. firm in adherence; loyal; devoted: fast friends. 14. permanent, lasting, or unchangeable: a fast color; a hard and fast rule. a. (of money, profits, etc.) made quickly or easily and sometimes deviously: He earned some fast change helping the woman with her luggage. b. cleverly quick and manipulative in making money: a fast operator when it comes to closing a business deal. a. (of a lens) able to transmit a relatively large amount of light in a relatively short time. b. (of a film) requiring a relatively short exposure time to attain a given density. a. (of a track condition) completely dry. b. (of a track surface) very hard. Note that it isn’t until the 8th definition of the word that we get to a meaning other than speed or lacking moral convictions. In fact, I would bet that if you asked 100 people what the word “fast” means that every one of them would say something in relation to “speed”. We even make jokes today in church like “Why do they call it a fast Sunday if it goes so slow?. So what happened? When did the original meaning go from “firm” to “speed”? Let’s look at our next tool, another of my absolute favorites. No other dictionary compares with the Webster’s 1828 dictionary. The English language has changed again and again and in many instances has become corrupt. The American Dictionary of the English Language is based upon God’s written word, for Noah Webster used the Bible as the foundation for his definitions. Webster considered “education useless without the Bible.” And as a result he utilized God’s written word as a key to the meaning of words. …Compare definitions of such words as education, marriage, truth, and many more. Compare a few of these definitions in the chart below, you will be amazed to discover the secularization of our modern English language. Noah Webster wrote his dictionary to preserve our ideas via our language. He sought to preserve the meaning of words by defining them in a Biblical context; truly it was an incredible work for its time. From this point on, probably beginning with the 1913 dictionary, we notice the secularization of our words and language and thus, our ideas. Let’s see how the word “fast” was defined in 1828, which was also around the exact time of the restoration of the Gospel. This would have been how Joseph Smith understood this word and many, many others when he translated the Book of Mormon. 1. Literally, set, stopped, fixed, or pressed close. Hence, close; tight; as, make fast the door; take fast hold. Who by his strength, setteth fast the mountains. Ps. 115. Robbers and outlaws – lurking in woods and fast places. 4. Firmly fixed; closely adhering; as, to stick fast in more; to make fast a rope. 5. Close, as sleep; deep; sound; as a fast sleep. 6. Firm in adherence; as a fast friend. Fast and loose, variable; inconstant; as, to play fast and loose. We will bind thee fast, and deliver thee into their hand. Judges 15. Swift; moving rapidly; quick in motion; as a fast horse. Swiftly; rapidly; with quick steps or progression; as, to run fast; to move fast through the water, as a ship; the work goes on fast. 1. To abstain from food, beyond the usual time; to omit to take the usual meals, for a time; as, to fast a day or a week. 2. To abstain from food voluntarily, for the mortification of the body or appetites, or as a token of grief, sorrow and affliction. Thou didst fast and weep for the child. 2Sam. 12. When ye fast, be not, as the hypocrites, of a sad countenance. Matt. 6. 3. To abstain from food partially, or from particular kinds of food; as, the Catholics fast in Lent. 1. Abstinence from food; properly a total abstinence, but it is used also for an abstinence from particular kinds of food, for a certain time. Happy were our forefathers, who broke their fasts with herbs. 2. Voluntary abstinence from food, as a religious mortification or humiliation; either total or partial abstinence from customary food, with a view to mortify the appetites, or to express grief and affliction on account of some calamity, or to deprecate an expected evil. 3. The time of fasting, whether a day, week or longer time. An annual fast is kept in New England, usually one day in the spring. The fast was now already past. Act. 27. F’AST, n. That which fastens or holds. Observe how long it takes before you get to the definition that refers to “speed”. In the modern dictionary the first several definitions refer to speed, while the first several definitions in the 1828 dictionary refer to words like “set”, “fixed”, and “immovable”. The evidenced is clear, our language really has been corrupted since the restoration. Another important observation that was touched on only briefly is the fact that the 1828 dictionary defines words as they were most likely understood by Joseph Smith and the early church. This fact is critical when you understand that the Book of Mormon translation that we currently have is translated closer to the 1828 definitions than it is to our modern dictionary definitions. So in a way, the 1828 dictionary is possibly the closest we can get to understanding the original text of the Book of Mormon, by learning what the words most likely meant to the translator. By analyzing the origins of the word, we can now understand the doctrine of the word. We can understand that the act of abstaining from food, etc, we can gain “firm control” of ourselves and become “firm” and “fixed” in our relationship with God and his commandments. This understanding can help us better understand what is happening during this process. The idea of “speed” is meaningless to this process. There is so much more to the doctrine of fasting that cannot be covered here in this post, but might be covered in a later post. Hopefully this process can help us learn more about this and many, many other doctrinal topics in the gospel. Using the study tools listed above can be valuable in understanding doctrine by examining the original meanings of words and their origins and evolution. By looking at the original translations we can see what the words meant to the ancients and then how the early reformers/restorers understood them. We can then explore what they mean to us today and examine what has been lost or corrupted, because knowing what we’re missing can help us learn why we might not understand a particular doctrinal topic as well as we would otherwise. Our language has been and IS being secularized constantly. It is critical for us to rediscover the things we thought we knew by overcoming this cloud of corruption though prayer, study and using the tools we have at our disposal. Great post. I loved the further understanding of fast being “steadfast”, [another word with fast in it!] and fixed in our relationship with God.